Highlight in 2012! 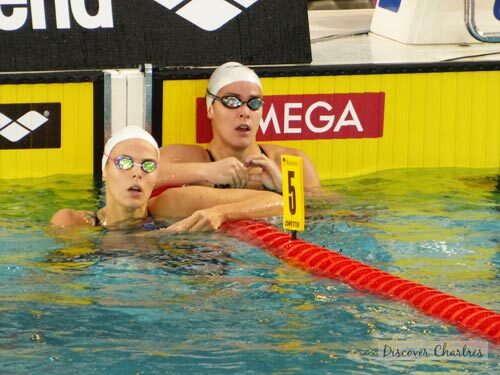 - European Short Course Swimming Championships in Chartres! 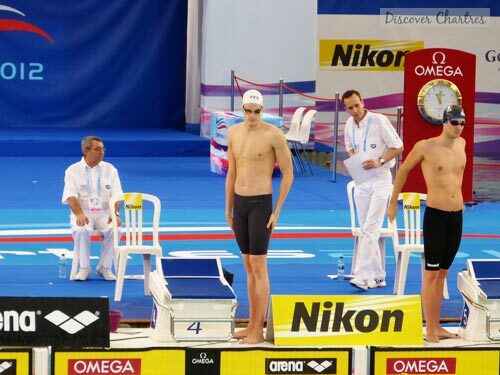 It was the first international swimming events which is organized in France since 1987! After two times hosted French National Swimming Championships in 2009 and 2010, this year Chartres welcomes the best European swimmers from November 22 to 25. French swimming team has made a fabulous performance in ECSC 2012 as they did in 2010 on European Swimming Championships in Budapest. They brought France on top of the medals table. See ECSC 2012 medals table here. 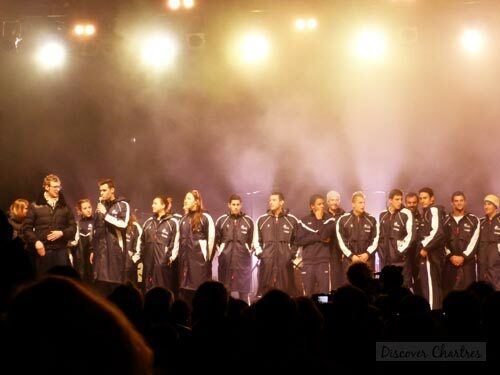 We had to notice how French champions won 7 medals in Olympic Games 2012 in London. They shocked the world by winning the gold medal for Men's 4 x 100m freestyle relay over USA and Australian team! 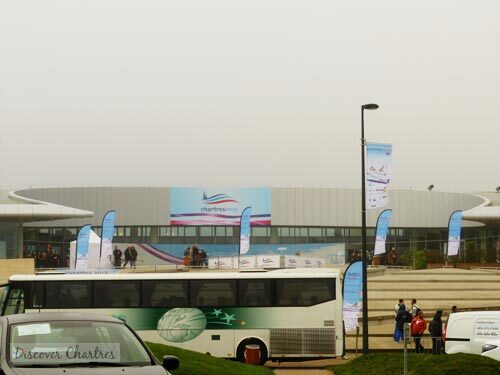 The championship will take place for 4 days in the largest aquatic center in France - L'Odyssee. There are 518 swimmers from 38 nations participate in this precious events. 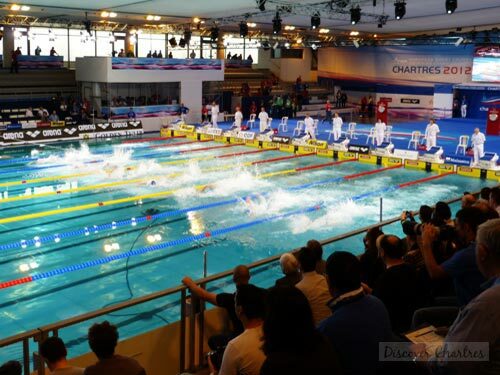 New events were held for the first time in Chartres: mix's relay with 2 men and 2 women in two categories - 4 x 50m freestyle relay and 4 x 50m medley relay. France swimming team won gold medals for those two. The heat series took place in the morning, while the semifinals and finals start in the afternoon. 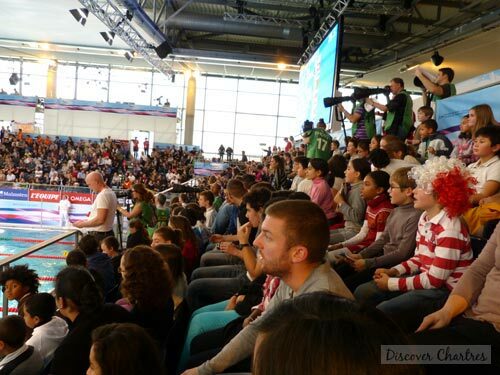 Click here to see the details programs of European Short Course Championship in Chartres 2012. 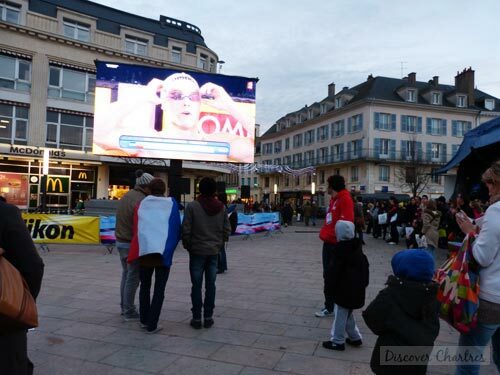 Chartres city offers some entertainments during the championship at Place des Epars like giveaways, concerts and watching the finales from a giant screen and... what most exciting is meeting the French swimming team. 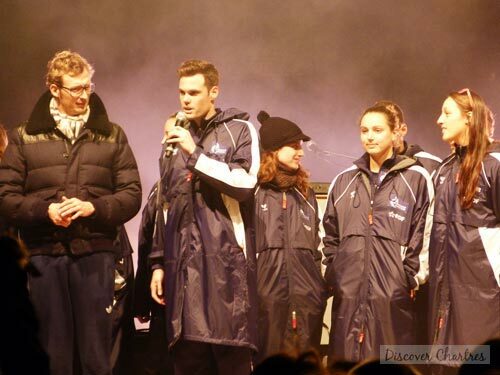 Surprise in Saturday night - the French Swimming team visit their supporters at Place des Epars, Amaury Leveaux and Gregory Mallet were among them! November 22 - 23 from 4.30pm, music concert from Boney M Story on Friday at 7pm. November 24 - 25 from 3.30pm, music concert from Drôle de Mecs (hip hop) and Blankass (rock) on Saturday at 6pm. For the complete medals table list, please visit League Européenne de Natation (LEN) website. 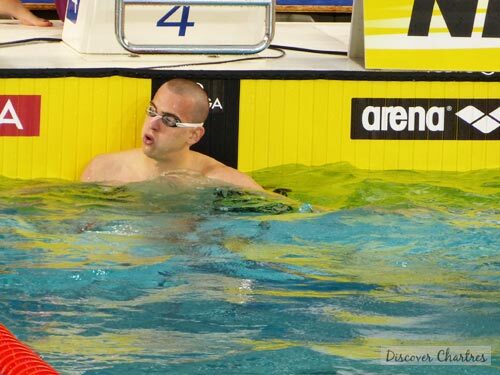 Radoslaw Kawecki (Poland) set a new Championship Record in Men's 200m backstroke. Camille Muffat (France) set a new World Record in Women's 400m freestyle. 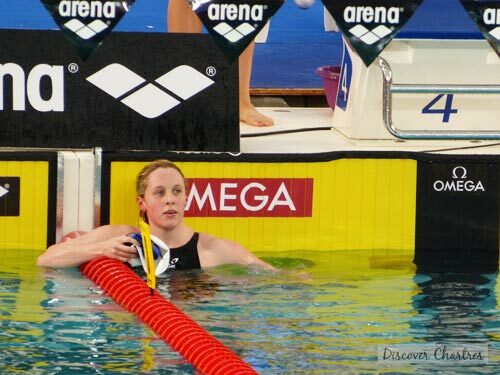 Rikke Moeller Pederson (Denmark) set new Championship and European records in Women's 100m breaststroke. She beat her own Championship record that she has set also the semifinal in Chartres. 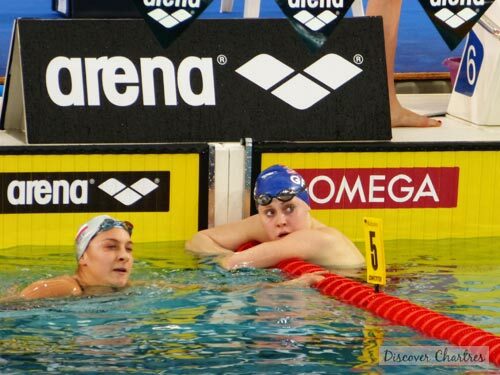 New Championship record in Women's 200m backstroke by Daryna Zevina (Ukraine). 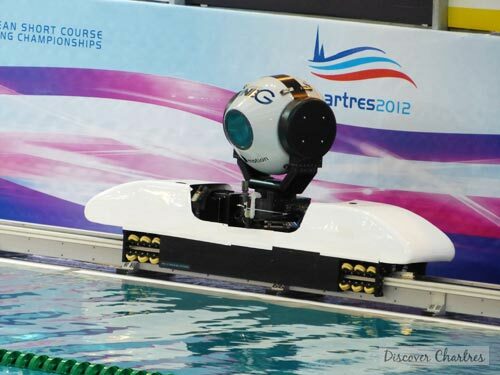 So this is how the rail camera looks like...it must be faster than all swimmers!